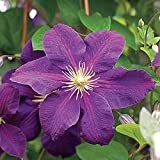 1 Root Clematis, Jackmanii,(Bare Root/rhizome),-flowered Vine,Now Shipping ! 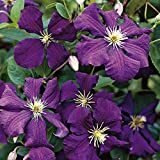 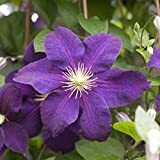 Clematis jackmanii for sale – Easy plant to grow, mostly grown for the ornamental flowers and for the leaves, planting season in spring to autumn, better to buy plant or another option to start from seeds yet more challenging. 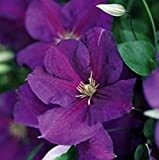 Blooming in the summer to autumn in round shaped flowers that appear in purple color.